Currently a Cosplay Hobbyist, Charlie began making his own costumes at a young age. Batman, Ninja Turtles and Uncle Fester being some of his first. 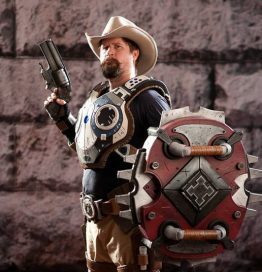 Since he started frequenting pop-culture conventions in the early 2000’s, his urge to create has flourished, always studying new techniques and technologies to add to his craft.